Over the past couple of years, Arnold Schwarzenegger has been tentatively dipping his toe back into the Terminator waters and teasing the big orange buffoon who helped torpedo the respectability of Schwarzenegger’s once-beloved Republican party, but now he’s going to try his mighty hand at something relatively new: A scripted TV drama. 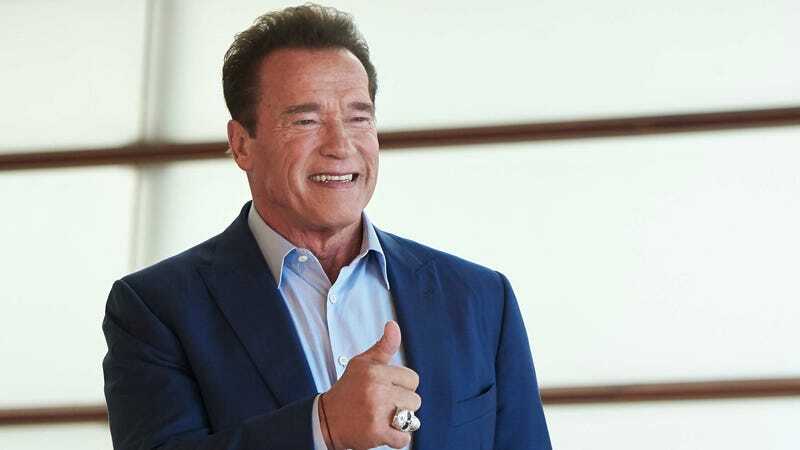 According to Deadline, Schwarzenegger is set to star in and executive produce a new Amazon “event series” called Outrider. Deadline doesn’t say who will play the deputy, but it’d be fun if it’s also an actor from a European country. Americans have been starring in these Westerns for too long anyway.